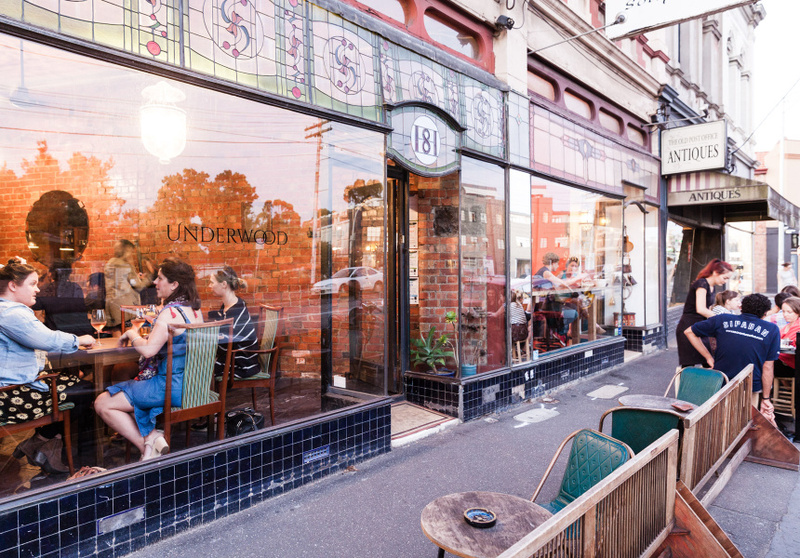 Underwood Wine Bar in North Fitzroy is a small, broody room with bare brick and lots of wood. The food and wine is a celebration of small, local producers and businesses. 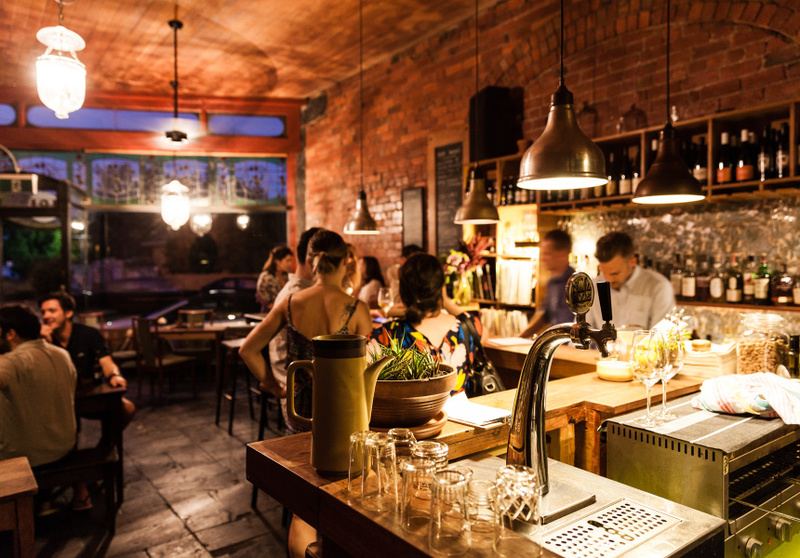 Owner and sommelier Michael Underwood has created a drinks list that focuses on the boutique winemakers and brewers from around the state. You’ll find Kooinda Pale Ale from Heidelberg and Doss Blockos Pale Ale from St Kilda next to Thick As Thieves Sylvaner from the King Valley and Valley Vignerons Sangiovese from the Yarra Valley. There are also some drops from further afield nationally. 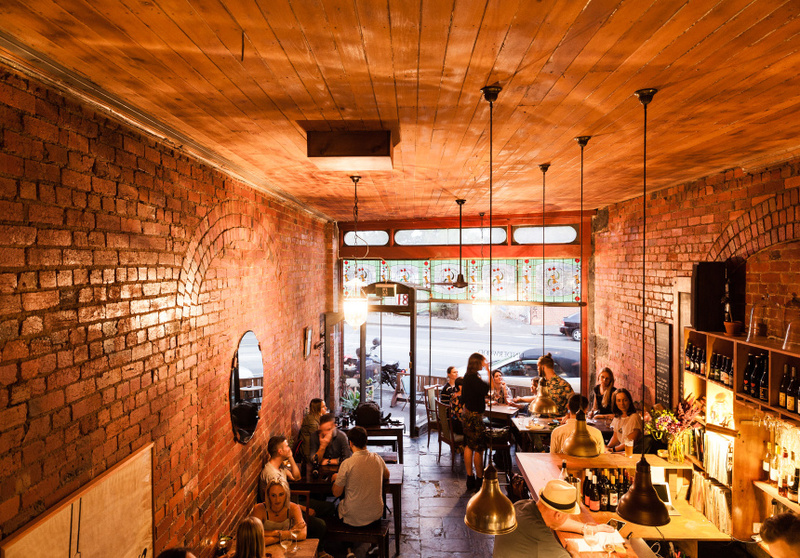 The food is an accompaniment to the succinct drinks list and a nod to the small inner-city businesses that have popped up over the past few years. The changing salumi board is provided by Fitzroy North delicatessen Obelix & Co., and the cheese is supplied by Olivia Sutton from Essendon’s Harper & Blohm. There are other snacks: Mt Zero olives, thick earthy hummus; but it’s the drinks and the switched-on staff that maintain what is a refreshing and confident boutique wine bar.